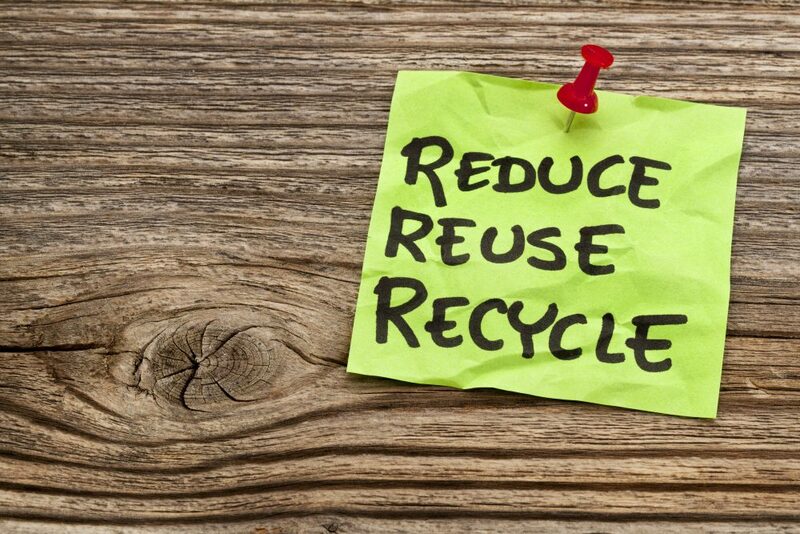 Reuse, Reduce and Recycle environmental strategy, also known as ‘three R’s’ creates an order of preference for improved management of urban waste. The goal is to lower the consumption of natural resources and to influence the global environment positively. Reusing means using already used the product once again for the same purpose for it was initially created. All of us should reuse as much as we can. • Purchase products in returnable bottles whenever possible. • Print on both sides. • Use envelopes for different applications. • Do not break plastic, glass or tins; it’s preventing their reuse. • Use reusable shopping bags whenever possible. We have to lower our consumption of resources like water and energy on a daily basis as well as of articles we don’t need and potentially pollutant substances. • When shopping, use your bags. • To lower consumption of energy be sure to unplug your TV and monitor from the manual switch (don’t leave equipment in sleep mode). • When cooking, cover pots and pans. Preferably use a pressure cooker. Centre it well over the flame and ensure that the flame does not exceed the base of the pot. • Always cover pots and pans when cooking. Use a pressure cooker whenever you can. Position it right above the flame and make sure that the flame doesn’t exceed the base of the pot. To recycle is to use waste as a raw material while producing new things. Every object has to be recycled after it exceeds it’s time resources, and its parts can be used for creating new appliances. • Public collaboration in crucial when recycling urban waste as the waste has to be sorted and correctly thrown in the appropriate waste containers: paper cardboard in blue, light packaging in yellow and glass in green containers. • WEEE recycling: it is imperative to make use of sanctioned channels like shops, clean points and local Council household collection services, for disposing of these appliances, therefore allowing hazardous elements to be eliminated and material to be recycled.